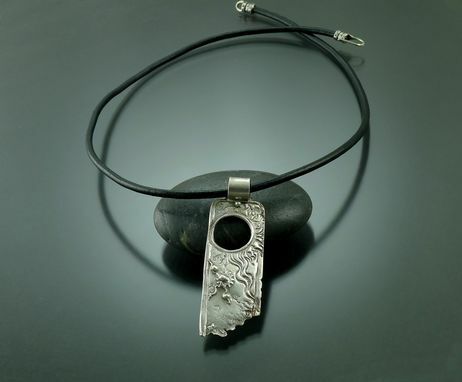 This fine silver pendant starts with a hand made mold that gives the silver metal clay is basic form. The edges get carved and refined, additional details are applied, and the entire piece is kiln fired. After firing, it's work hardened and polished. I usually apply a chemical patina that stays in the recessed areas of the piece which accentuates every detail. 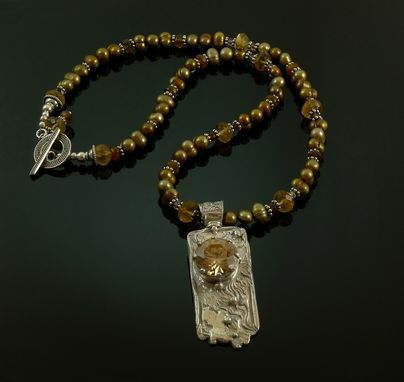 This pendant can be customized with a single large gemstone or with several tiny ones sprinkled throughout.